60cm Multifunction 13 / 7 Duo oven with Pyrolux pyrolytic cleaning in both oven cavities, IOI (Intuitive Oven Interface), Smart Food Probe, FullFlex telescopic runners and soft close doors. The first duo oven that cleans itself in both ovens. Pyrolux pyrolytic cleaning removes the need for you to use harsh chemicals to clean your oven. Simply set the Pyrolux Pyro Clean function, come back when it is complete and wipe away the residue. Even during the 490 degree Pyrolux Pyro Clean process the door temperature is still cool enough to safely touch. 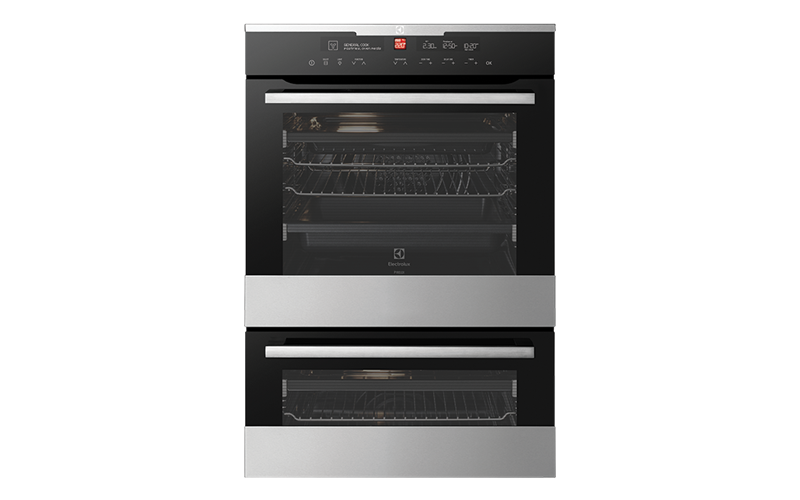 The Duo ovens allow you to cook a variety of dishes at once, making this an ideal oven for entertaining. 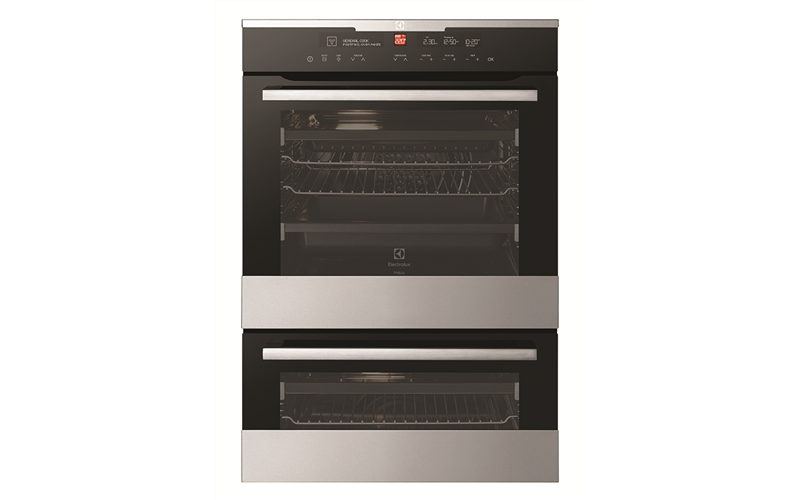 Designed for the entertainer and large families, this large capacity 80-litre oven with a generous 43 litre second oven makes catering for every occasion quick and easy. Plus, energy use is also kept to a minimum, despite its size. Cooler touch oven doors for added safety and confidence in the kitchen. The cooler touch doors feature an innovative door cooling system with multiple glazed door panels. The door design minimises heat being transferred outside the oven, while ensuring a cooler touch oven door and cooler kitchen environment. Stay cool when you're entertaining.